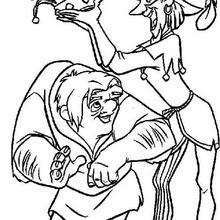 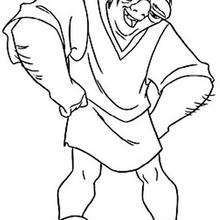 The Hunchback of Notre Dame is a Disney animated film about Quasimodo, who was born deformed and had a hunched back. 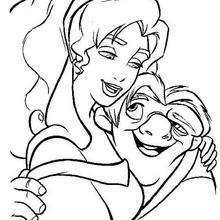 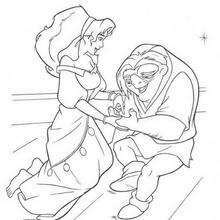 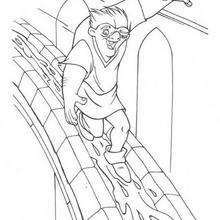 Quasimodo is the Notre Dame bell-ringer who is kind and gentle. 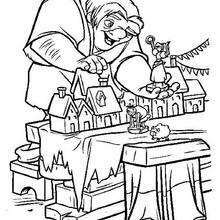 However, the towns people see him as a Monster due to his deformed appearance. 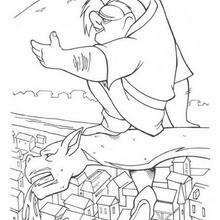 The Hunchback of Notre Dame is a captivating story of a man who struggles to gain acceptance in society and how he becomes a hero. 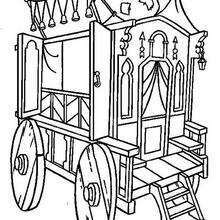 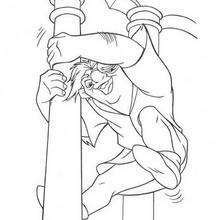 This Quasimodo Plays with Toys coloring page can be decorated online with the interactive coloring machine or printed to be colored at home. 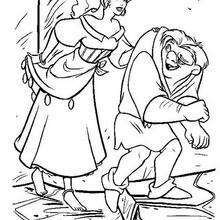 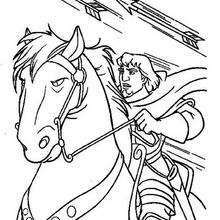 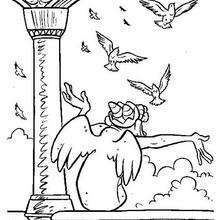 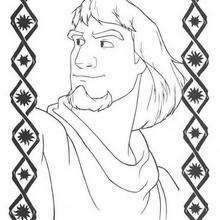 You will discover more The Hunchback of Notre Dame and other Disney coloring pages, videos and fun activities for you to enjoy from Hellokids.